The pressure wave system, due to its high sensitivity, is able to detect contact from people or vehicles approaching from almost any angle and a low activation force reliably switches the electrical contact. Due to it””s simple design, the system is extremely robust and reliableeven under tough environmental conditions. Bircher Reglomat””s pressure wave systems are a proven solution for a variety of applications. The systems are maintenance free and offer excellent cost-performance ratio. 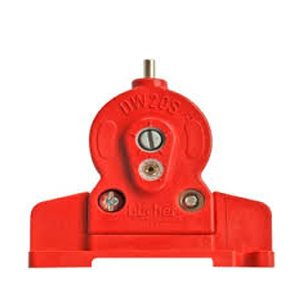 The D1 series switches (including DW40 and DW20s), Bircher Reglomat””s best-selling pressure wave switches utilize proven technology with millions of units in use for countless applications worldwide. The fixed orifice equalizes for atmospheric and/or temperature changes and allows for reliable operation regardless of environmental conditions.